SAN JOSE, CA - July 11, 2017 - Zoom Video Communications, Inc. is named to the Forbes 2017 Cloud 100 list, the definitive list of the top 100 private cloud companies in the world, published by Forbes in collaboration with Bessemer Venture Partners. Zoom will be celebrated tonight in San Francisco at The Cloud 100 Celebration, an exclusive event hosted by Bessemer Venture Partners, Forbes and Salesforce Ventures. The celebration is attended by the CEOs of the public cloud companies and the CEOs named to The Cloud 100 and The 20 Rising Stars lists. "Zoom was built from the ground up as a cloud communications platform that provides the modern enterprise with frictionless, flexible, and scalable video conferencing. Our solution delivers happiness to over 650,000 businesses by making it easy for organizations to collaborate using video and audio conferencing, messaging, and webinars across mobile, desktop, and room systems," said Eric S. Yuan, founder and CEO of Zoom. "We are delighted and honored to be among the world's top private cloud companies recognized by Forbes for the second year in a row, and want to thank our dedicated employees and customers for their hard work and support." As part of the rigorous selection process for the Forbes 2017 Cloud 100, Forbes' data partner, Bessemer Venture Partners, received hundreds of submissions from the top cloud startups. With that data, the Forbes Cloud 100 judge panel, made up primarily of public cloud company CEOs, was then responsible for selecting and ranking the top 100 companies from all over the world. The evaluation process involved four factors: estimated valuation (30%), operating metrics (20%), people & culture (15%), and market leadership (35%), which the judge panel then weighed to select, score, and rank the winners. "Our inaugural Cloud 100 list showed the tech and venture capital community just how many standout private cloud companies there are to watch, and this year's list is no exception," said Forbes editor of the Cloud 100 list, Alex Konrad. "Forbes has a keen eye for businesses, and combining that with Bessemer Venture Partners and Salesforce Ventures' deep knowledge of the cloud industry, any company's inclusion on the Forbes 2017 Cloud 100 list is cause to celebrate." "These companies are leading the cloud technology revolution!" said Byron Deeter, a top cloud investor and partner at Bessemer Venture Partners. "The founders and teams behind the Forbes 2017 Cloud 100 companies are of another caliber and we are beyond excited to celebrate the hard work and enormous value these companies are creating as they propel the trillion-dollar software industry forward." "The business opportunity for cloud computing is tremendous as the spend on cloud computing and the rate of adoption continues to grow and advance the ecosystem," said John Somorjai, EVP Salesforce Ventures and Corporate Development. "We're thrilled to highlight the potential of these top-tier private companies in the field and see where they take their businesses and the economies around the world." 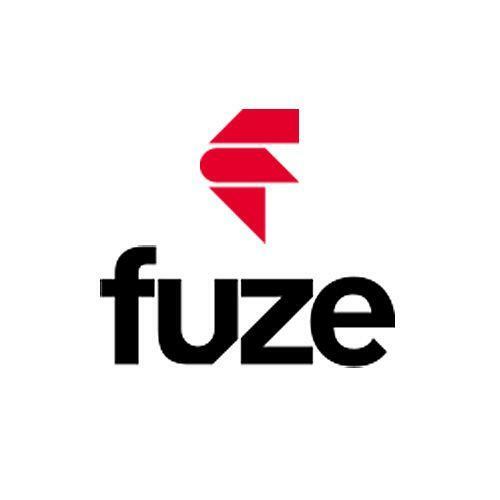 BOSTON--(BUSINESS WIRE)--Fuze, the leading cloud-based communications solution provider for the modern global enterprise, today announced that for the second consecutive year it has been named to the Forbes 2017 Cloud 100 list, the definitive list of the top 100 private cloud companies in the world, published by Forbes in collaboration with Bessemer Venture Partners. 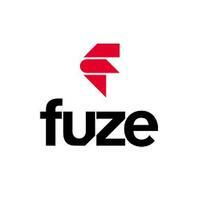 Fuze will be celebrated tonight in San Francisco at The Cloud 100 Celebration, an exclusive event hosted by Bessemer Venture Partners, Forbes, and Salesforce Ventures. The celebration is attended by the CEOs of the public cloud companies and the CEOs named to The Cloud 100 and The 20 Rising Stars lists. As part of the rigorous selection process for the Forbes 2017 Cloud 100, Forbes' data partner, Bessemer Venture Partners, received hundreds of submissions from the top cloud startups. With that data, the Forbes Cloud 100 judge panel, made up of a majority of public cloud company CEOs, was then responsible for selecting and ranking the top 100 companies from all over the world. The evaluation process involved four factors: estimated valuation (30%), operating metrics (20%), people & culture (15%) and market leadership (35%), which the judge panel then weighed to select, score and rank the winners. "Our inaugural Cloud 100 list showed the tech and venture capital community just how many standout private cloud companies there are to watch, and this year's list is no exception," said Forbes editor of the Cloud 100 list Alex Konrad. 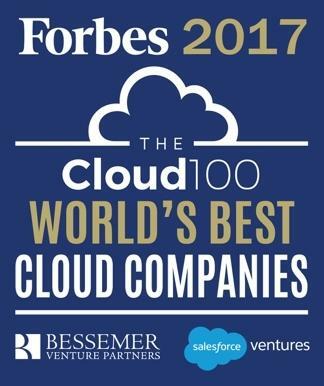 "Forbes has a keen eye for businesses, and combining that with Bessemer Venture Partners and Salesforce Ventures' deep knowledge of the cloud industry, any company's inclusion on the Forbes 2017 Cloud 100 list is cause to celebrate." \"Zoom was built from the ground up as a cloud communications platform that provides the modern enterprise with frictionless, flexible, and scalable video conferencing. Our solution delivers happiness to over 650,000 businesses by making it easy for organizations to collaborate using video and audio conferencing, messaging, and webinars across mobile, desktop, and room systems,\" said Eric S. Yuan, founder and CEO of Zoom. \"We are delighted and honored to be among the world's top private cloud companies recognized by Forbes for the second year in a row, and want to thank our dedicated employees and customers for their hard work and support.\"
\"Our inaugural Cloud 100 list showed the tech and venture capital community just how many standout private cloud companies there are to watch, and this year's list is no exception,\" said Forbes editor of the Cloud 100 list, Alex Konrad. \"Forbes has a keen eye for businesses, and combining that with Bessemer Venture Partners and Salesforce Ventures' deep knowledge of the cloud industry, any company's inclusion on the Forbes 2017 Cloud 100 list is cause to celebrate.\"
\"These companies are leading the cloud technology revolution!\" said Byron Deeter, a top cloud investor and partner at Bessemer Venture Partners. \"The founders and teams behind the Forbes 2017 Cloud 100 companies are of another caliber and we are beyond excited to celebrate the hard work and enormous value these companies are creating as they propel the trillion-dollar software industry forward.\"
\"The business opportunity for cloud computing is tremendous as the spend on cloud computing and the rate of adoption continues to grow and advance the ecosystem,\" said John Somorjai, EVP Salesforce Ventures and Corporate Development. \"We're thrilled to highlight the potential of these top-tier private companies in the field and see where they take their businesses and the economies around the world.\"
\"Our inaugural Cloud 100 list showed the tech and venture capital community just how many standout private cloud companies there are to watch, and this year's list is no exception,\" said Forbes editor of the Cloud 100 list Alex Konrad. \"Forbes has a keen eye for businesses, and combining that with Bessemer Venture Partners and Salesforce Ventures' deep knowledge of the cloud industry, any company's inclusion on the Forbes 2017 Cloud 100 list is cause to celebrate.\"